Now that the Mueller witch hunt has simmered down, Democrats are once again demanding President Trump’s tax returns be released to the public. Acting White House Chief of Staff Mick Mulvaney told “Fox News Sunday” why that will never happen and why Democrats are wasting their time. “That’s an issue that was already litigated during the election. Voters knew the president could have given his tax returns. They knew that he didn’t and they elected him anyway,” Mulvaney said. Mulvaney added Democrats know they won’t get the returns but they want to steer the attention to this issue instead of debating policy. The IRS has a policy of auditing the tax returns of all sitting presidents and vice-presidents, yet little is known about the effectiveness of it. 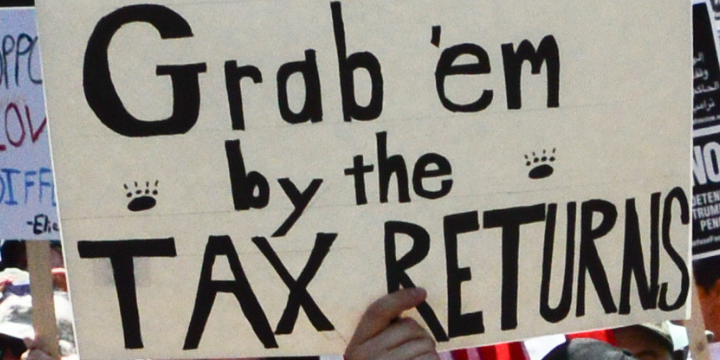 In this case, the Democrats were hoping President Trump’s private tax returns would be a golden ticket after the Mueller report remains stagnant. The average American voter is not blind. Voters know a smear campaign when they see one and they know this latest attempt is solely political. Why are Deranged Democrats wasting their time on this issue and not steering the conversation to policy? Perhaps it’s because, like the tax return demand, their policies don’t have legs either.